← What is Our Government . . . Really? The foreign agents who purport to be our public officials ( not servants) are responsible for eliminating the strength of the American Labor Unions, the elimination of our jobs, the erosion of our inalienable rights; have instigated every war or conflict we have ever become involved with in history and they convinced us that it was the other guys fault! They have converted us into corporate fictions, and sold us as securities to foreign corporate investors, and have denied us our heritage! Everything they have been doing is designed to undermine our freedom, liberty and representative form of government! the basic system [by] . . .
– rewriting history and law and exposing the public to the deviant creation . . .
rewritten two more times since then; but only our government officials know about that! And now, so do you! 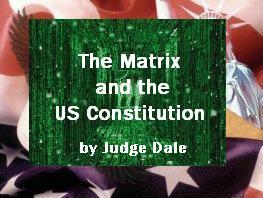 replaced constitutional law, the common law, public law and penal law and which have been designed to control you. corporations. Corporations have no rights or jurisdiction over living people and are only provided considerations, which have been pre-negotiated in contracts by their directors. Otherwise, they’re governed totally by commercial law, and so are you! The IMF holds the controlling interest in all the banks in America! The IMF is the Rockefeller and Rothschild Empires, along with the eleven wealthiest families in the World. the Federal Reserve Bank for the Masters use. The IRS belongs to the International Monetary Fund, who also owns the Federal Reserve Bank. Code and the Judiciary Act of 1789. This is the Law of Merchants and Sailors. contracts and secret Trusts. The goal of the masters and their (agents) our elected officials, is to keep the people oppressed and subservient to them! control over their Slaves and that is mind control by force and threat of force, by the very people we rely on, to protect and serve! According to the Federal Registry, USA INC now has 450 “agencies” making rules, regulations and statutes. FDR created the Federal Registry in 1935 by an Executive Order . . . during a so-called “national emergency”. These agencies represent an unelected fourth branch of the corporate government. This entry was posted in corporation, Government and tagged federal register, judge dale, matrix, regulations, united states corporation. Bookmark the permalink.